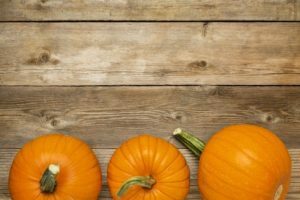 Your Dentist Gives 6 Tips for Healthier Halloween Festivities! As the leaves begin changing colors and the autumn air gets crisp, you know that Halloween is just around the corner! That means a night full of fun and plenty of candy consumption. Your dentist says it’s important, though, to remember your oral health. Thus, as you continue reading, you’ll learn 6 tips for protecting your mouth, teeth and gums and preventing dental health issues that could arise from a consuming too much sugar. One of the best times to eat Halloween candy is following a meal. That’s because your mouth produces more saliva to help with digestion. The extra saliva will also help to remove some of the leftover candy by bathing your teeth. Just as there is a right time to snack on candy, there also is a period when you absolutely shouldn’t eat any, and that is before retiring for bed at night. When you sleep, your mouth is partially closed for hours, which creates a dry environment that allows bacteria to grow. The added presence of the sugars from the candy will further exacerbate the issue. One of the reasons that candy is so desirable is that it produces pleasure hormones like dopamine and endorphins when you eat it. If you have an abundance remaining after Halloween, one way to protect you and your family’s oral health is to share the leftover goodies with those who are less fortunate. Thus, you’ll limit your consumption and put a smile on someone’s face! Another way to guard against the growth of bacteria is to drink plenty of water. Not only is water essential for hydrating your body, it also helps to bathe your teeth to remove the sticky residue left behind when you eat candy. It is easier to remove from your teeth. It typically contains less sugar than other forms of candy. Immediately after eating candy, it’s imperative to brush your teeth. This will remove any leftover particles before they have a chance to settle on your ivories and contribute to stains and enamel wear. A final way to maximize all your efforts is to maintain regular visits to your dentist for preventive care. While there, the professional can provide you with even more tips on how to enjoy Halloween night while maintaining your dental health. So to schedule a visit that will treat instead of trick you, reach out today! A graduate of Baylor College of Dentistry, Dr. Jayme Martinez enjoys helping patients through the artistry and science of dentistry. To stay abreast of the latest changes in the dental world, he takes hours of continuing education annually and maintains membership in professional organizations like the Texas Dental Association. Dr. Martinez provides the entire family with comprehensive care that includes dental sleep medicine, cosmetic dentistry, implant dentistry and many other services. He practices at Kessler Park Dental, and he can be reached for more information through his website. Comments Off on Your Dentist Gives 6 Tips for Healthier Halloween Festivities!